Get psyched, people: PBS's blockbuster period piece is leaving behind the small screen of pledge week for a big screen feature. 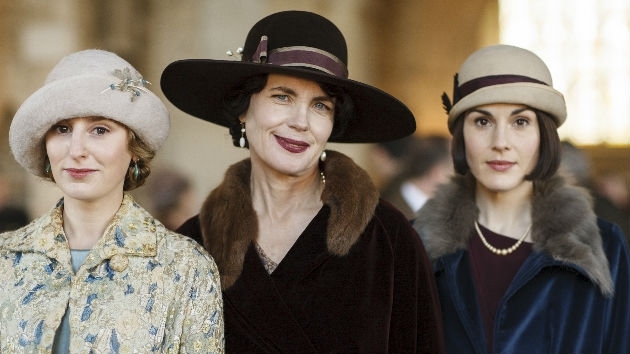 (LONDON) — The Downton Abbey movie has been given a September 20, 2019 release date, according to The Hollywood Reporter. The historical period drama about the lives of an aristocratic family and their domestic servants in the post-Edwardian era will star the original principal cast from the PBS TV series, including Elizabeth McGovern and Maggie Smith, as well as new cast members Imelda Staunton, Geraldine James, Simon Jones, David Haig, Tuppence Middleton, Kate Phillips and Stephen Campbell Moore. Shooting on the big-screen bow of the acclaimed British show kicked off last week. The series, which aired initially on ITV in the UK, and subsequently on PBS in the U.S., earned 69 Emmy nominations, a record for a TV import, during its six-season run.